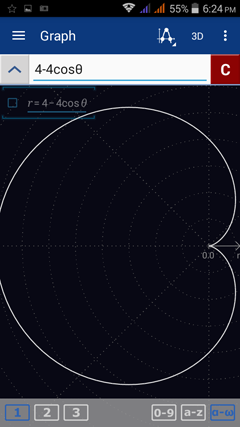 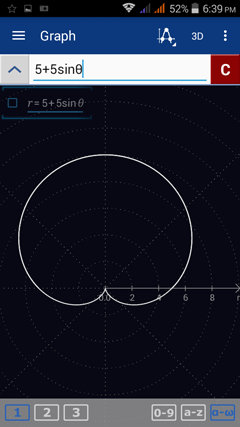 The polar equation for a cardioid can be written as r = a + a cos θ or r = a + a sin θ. 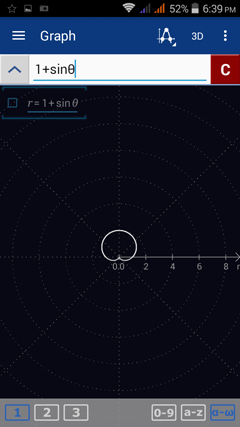 Enter one equation per line. 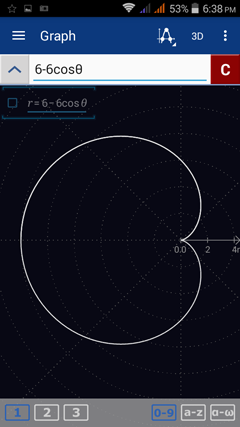 If the equation is written as "r =" you do not need to type "r =" again.